The Hiby R6 has more than a few reviews out there already so I won't bother you, too much with some repeated information. 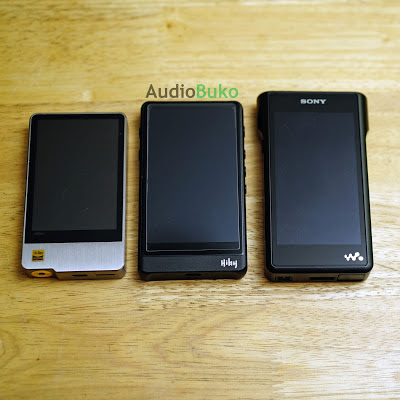 But an intro recap of sorts: The R6 in Indiegogo is Hiby's first step into the Digital Audio Player hardware arena though they have operated with audio software for over 10 years and collaborated in more than a few popular DAPs. 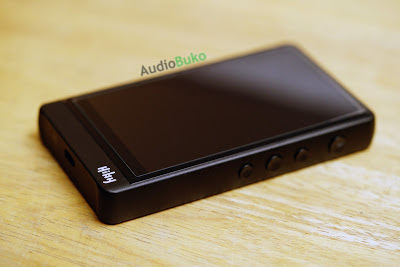 The R6 is also a competitively priced DAP ($509 on IGG and $569 at retail) for the hardware specs and audio capabilities it promises, and with all the buzz going around it, lets see what the Hiby R6 has to offer. Please note that at the time of this writing, the R6 is no longer available for purchase on Indiegogo and impressively ended up being funded 582%. 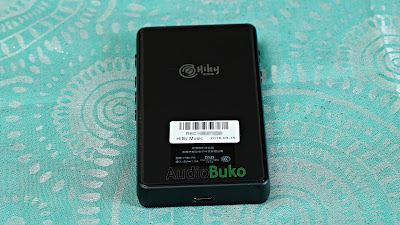 This Hiby R6 was purchased as a backer on Indiegogo for the purpose of a review, and thus there is no monetary incentive for providing a positive review. My model is the Black Aluminum, has over 250 hours of clocked usage and it's pictures may not look exactly like others due to sample variance (and maybe lighting). More information on the how I arrived at my findings are at the very end. 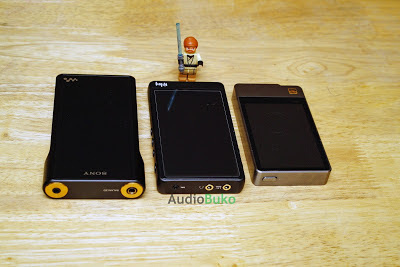 The Hiby R6 came in a sealed hard cardboard box where the DAP sits on top of the other contents (from top left to right): Black thin cardboard separator with the micro SD card ejector pin clipped on it, a Quality Control pass card, (bonus) tempered glass cover, plastic screen protector, manual, warranty booklet. (Bottom, left to right) DAP foam Tray, 3 extra Hi-Res audio stickers, the branded Hiby charging cable, 3.5mm to COAX cable and (bonus) silicone case. The Hiby R6 itself is a solid piece of milled aluminum with no jagged or sharp edges that feels good in hand with enough heft and weight to be significant but not a burden when carried. When you first get it, there's a matte protective sticker on the screen with printed guides for the R6 parts. Note that a screen protector should have been factory installed on the R6 but mine did not have one, this is fine since I would have removed it anyway in deference to the tempered glass installed above (I like the smoother glide on glass than plastic). Power - For turning the unit and screen on or off, it has a little LED indicator that shows the status of the R6 (Red blinking is charging, solid white is DSD audio playing, green is 24bit, blue is 16bit and lower) and this light can be turned off if you wish. Previous - With the screen on, holding it down pauses playing and "rewinds" the time bar till it is released. If pressed once with the time bar at 10 seconds or more, it will go to the start of the song, otherwise it will go to the previous track. With the screen off, pressing it once does the same thing as when the screen is on, but holding it down (no matter how long) will move the time bar around 3 seconds back, you can repeat this to be able to go back through a song. Play/Pause - is self explanatory and does as advertised with screen open or closed. Next - With the screen on, holding it down pauses playing and moves the song "fast forward" till you release it. Pressing it once will skip to the next song whether the screen is off or on. When the screen is off, holding it down will move the time bar forward by 3 seconds while the song continues playing. You can repeat this quickly several times to move the time bar forward. USB C port - For charging, USB output (transport) and DAC (usb input). 2.5mm Balanced Output - Plastic rubber ring around the plug is not so pretty but it works. 3.5mm Single Output - Gold ring makes it look sturdy and pretty. 3.5mm Line-Out/COAX - By default the software is at Line-Out mode for this identical gold ringed plug, which means max ear busting volume, be careful! Volume Up - Turns the volume up once per press, holding it down moves the volume continuously up but only when the screen is on. Volume Down - Just the reverse of Volume Up. The first thing you'll see is the Hiby logo till boot up is finished, and if you've inserted a micro SD card, a setup screen appears. Choosing "Internal Storage" will make card the default storage and encrypt the whole card so that it isn't readable outside the DAP, good for security and if you want a bigger internal storage. "Portable Storage" is simply making the micro SD card a removable, storage space usable/readable by any device, so unless you have security needs, I would suggest to use this option. Once the screen guide/protector is taken off, you'll be exposed to a truly awesome display, nice saturated colors and resolution that compared to a lot of DAPs in the market, pale in comparison to the R6's display. Sunlight legibility with the tempered glass installed is nice (it was kinda cloudy when I shot this) though it can look washed out with distance and certain angles. Since the screen is of high resolution, old album art with smaller resolutions can look unpretty, this may mean you'll need to update them. The (free) tempered glass isn't exactly the same size as the available area on the screen, but does cover the LCD's viewable areas enough for protection. 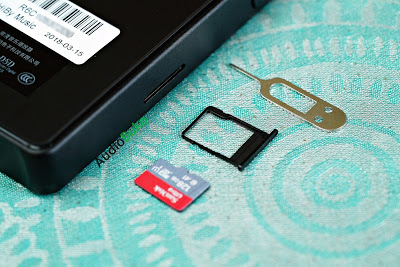 The micro SD card tray is similar to some mobile phones and is a very secure design (it can never accidentally fall out) though changing cards will be hard as you need the pin (or a paperclip/push pin/etc) to eject the tray. 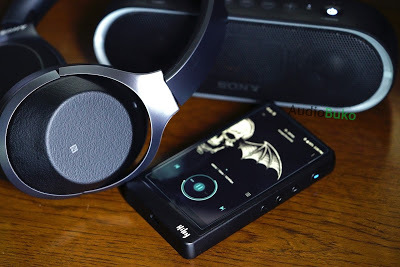 Bluetooth is very good with pairing and is stable with the devices I've used it with, audio quality is great with apt-X feeding more bits into the headset and speaker. Unlike my experience with mobile phones though, my Bluetooth devices (Sony WH-1000xMkII and SRS-XB20) do not fully sync with the R6's volume (sync, meaning the volume changes are the same whether it's done on the phone or Bluetooth device) so you may need to max out the volume on your device and control the volume from the R6 to get maximum control on one device. With it's Wi-Fi antenna using dual bands, the speed and reliability is at par with most modern mobile phones though strength over distance is a bit less in comparison, this was likely done to reduce power consumption. Overall, the R6 allows you to stream and download music and apps at really good speeds reliably. If you've ever used a mid to high end Android phone in the last year or so, you'll feel at home with the R6 and it's impressive system. The R6's Android 6.0 operating system is stable and bloat free with only a handful of stock apps and the 2 Hiby apps: Hiby Music and Wireless Update. The user interface is very smooth, fast and responsive (Note that adding a screen protector/tempered glass may reduce screen sensitivity and responsiveness) with most of the options and menu system streamlined for DAP use and only one part (that I know now) needs to be removed since it doesn't work, is the Snapdragon sound adjustment menu that shows up when using the EQ or sound adjustment on 3rd party apps like Deezer and Spotify. There are some vestiges of mobile phone stuff that have yet to be removed, like Wi-Fi hotspot, but I won't mention them beyond this as it does not add nor detract from the experience unless you intentionally go down that rabbit hole. Hopefully in the next update (that Hiby makes easy to do with Wireless Update,) the above little things will have been addressed. Quick charge 3.0 actually works, which is a welcome feature when you need it powered up fast or need a bit of a top-up before a trip. 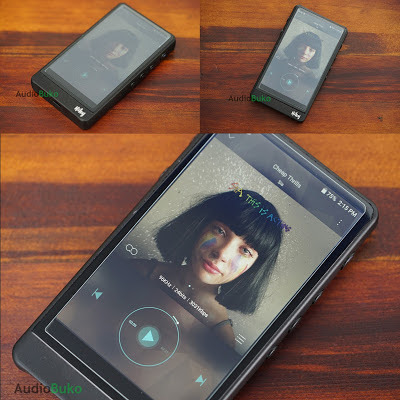 This feature works in tandem with the battery life of the R6 where various files from dsd, mqa, flac being played continuously on single end lasted 11 hours and 18 minutes with 7% power left. On balanced, it lasted a modest 7 hours and 46 minutes with 8% power left though to be fair, I did open the screen a lot while on balanced and fiddled with different songs while doing this review. 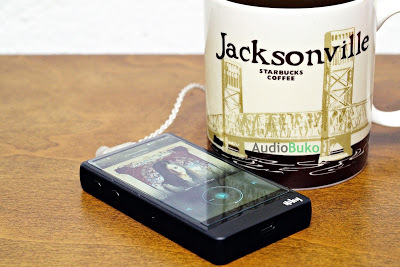 As a transport, the R6 does well and provides a clean and seamless stream of data for an external DAC/Amp to process. 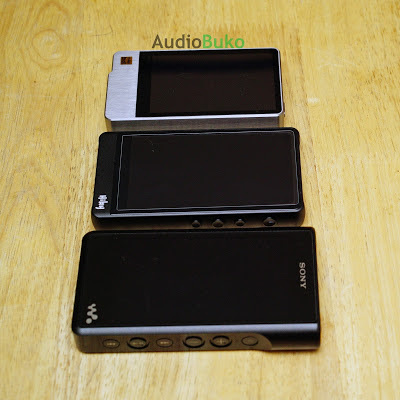 Compatibility seems good as my Sony PHA-1a and XDuuo XD-05 had no issues receiving the sound data provided by the R6, I'd safely bet the popular Mojo and other current DAC/Amps would have no issues as well. 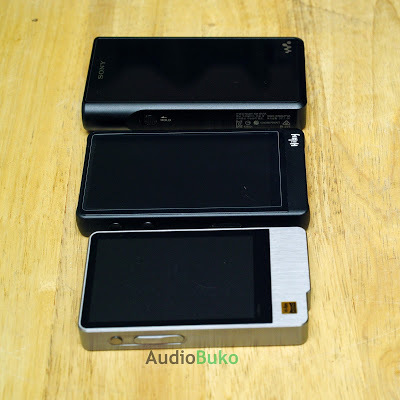 As a DAC/Amp for other devices like my Lenovo IdeaPad 100 laptop, Huawei P9 and a few Sony Xperia phones like the XZ Premium, the R6 did exceptionally well in processing the sound data it was provided and made it seem like it was played in the R6 natively. 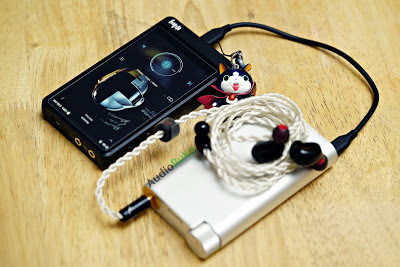 In both cases, you do not need to do anything on the R6, once you plug it into a source or into a DAC/Amp, it will automatically shift to provide the sound data through USB or process the data it receives. Note that unlike the AP200, there is no visual indication of the R6 being used as a DAC or as a transport. Hopefully some form of indication on the R6 can be implemented on the next update. Line-Out just works when I tried it on my home system, there was no noise and the music just flowed lovingly into the system and out of the speakers. Unfortunately, I don't have a device that could use COAXial input so I couldn't test that part of the R6. 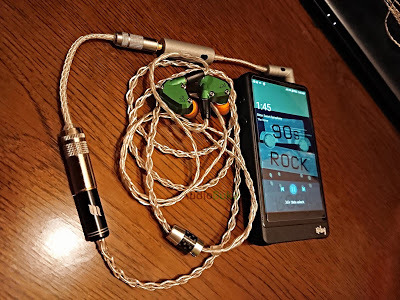 So let me address the best known specification of the Hiby R6, it's 10Ω output impedance and the reason there's an IFI IEMatch between the R6 and the Andromeda by giving you a link to Output Impedance (Explained) which is easier to understand then most I've seen online. 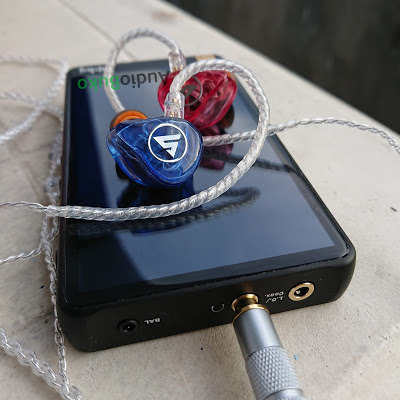 TLDR, R6's 10Ω output impedance will affect the Frequency Response of ear gear depending on it's own impedance, its impedance at different frequencies and whether it is prone to large impedance swings like Balanced Armatures. In the case of the CA Andromeda with 5 BAs and 12.8Ω impedance, it shifts the frequency forward, significantly reducing the bass, raising the mids forward and the highs to near sibilance, tonally making it brighter and shifts the positioning a bit higher spatially. Now this is why an IFI IEMatch comes in handy as it reduces the impedance to 1-2Ω (and the volume output by 11 steps on high sensitivity) and in effect, returns the old Andromeda sound to my ears. Now some may hate this shift and some may like it and it all depends on how it may affect your gear or not at all and if yes, are you willing to buy an impedance reducer like the IEMatch for the R6. As it stands, sensitive IEMs (from what I've read, 17Ω and below is affected, where the lower the sensitivity the more the of an FR shift you'll notice) with BAs may need an IEMatch to return it to it's original FR. On the other hand, low impedance IEMs using dynamic drivers like the CA Dorado (15Ω) and hybrids like the FLC8 (11Ω) that I tried with the R6, didn't exhibit any great tonal changes (there is likely some but I didn't go deep into them since I don't own them) and other ear gear higher than 17Ω don't seem to shift much (if any) with the higher output impedance. I've heard the word reference tossed around among DAPs for a long time and (confession time) I don't enjoy them as much as other people. Which is why after trying the R6 with different IEMs, headphones and even earbuds, I can happily say that this baby, though close, is definitely NOT reference, there is a an emotion, body in the music it plays that makes it enjoyable to listen even while using the most flat sounding headphones I have. Voices are adequately filled in but not meaty, resolution is presented with clarity and detail, bass is not enhanced but there is a touch of warmth that lends the bass with impact and life while the highs are expanded though it feels a bit more neutrally placed than the rest of the frequency. So if I'd put a label on it, it's a neutral signature with a hint of warmth and musicality. The way the R6 processes sound, it provides a very quiet and black background, it's so silent that the IEMatch which helps reduce noise doesn't improve anything in that aspect. Sound is expanded and does not sound congested or compressed which allows ear gear like the Andromeda to stretch out it's wide soundstage as well as provide a soundscape that is clear and revealing, with a reach of the highs that sound natural, clean but not very airy. Given the base signature of the R6 and the fact that any Android app (thanks to DTA) have full access to every bit and power provided by the R6 architecture, there's still something it can offer to change and/or improve tonality with MageSound 8-Ball which currently only appears with the Hiby Music app (which hopefully, may change and be extended to other apps like Spotify, Deezer and Tidal among other players). I'd like to think of it as an advance but EQ noob friendly sound modifier. You want more warmth? More bass impact? More sparkly notes? 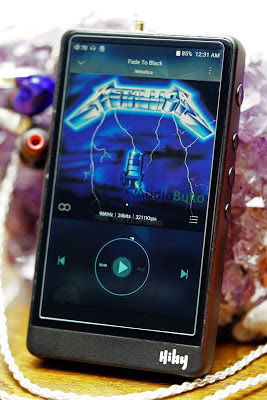 MageSound can do it without mystery (effects are easily understandable) and easily with just a few swipes and taps. Even if the R6 is the first ever DAP Hiby has made, it's definitely an amazing DAP with well thought out features and hardware that ticks a lot of boxes on the get go. 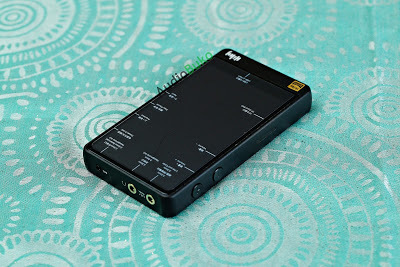 It looks good, is solidly built, sounds great especially if you like the more neutral or near reference level of sound, it can easily be a transport for your music as well as be the DAC/Amp for other sound devices, is well priced, provides a very enjoyable musical experience on and offline, it's an amazing value compared to the currently available Android DAPs out there and something I'll keep and use for a very very long time. Pros: Great build quality, ergonomic buttons and placement, multiple outputs, USB-C/QuickCharge, beautiful and functional screen, neutral tuning, Direct Transport Audio technology, amazing sound and user experience. To arrive at my own assessment of how the R6 sounds, I have at my disposal, gear used as benchmarks, points of comparison and reference (note some are not shown in the pictures above). 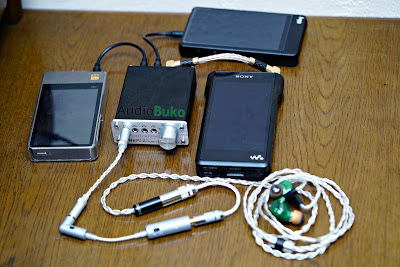 A Sony WM1a, Hidizs AP200, Xduoo XD-05, Sony PHA-1a, CA Andromeda, Hifi Boy OS V3, Kinera Seed, Kinera Earbud, Kinera BD005, Tennmak Trio, Hifiman HE400i, AKG K553 Pro, Sony WH-1000xMkII, An SPL meter, several adapters including an IFI IEMatch 2.5mm, cables and a myriad of tips.